Stardock CursorFX is a new program that takes advantage of the new visual effects features of Windows XP and Windows Vista. With it, users can create and use cursors that look and feel far superior to anything you´ve ever seen before! 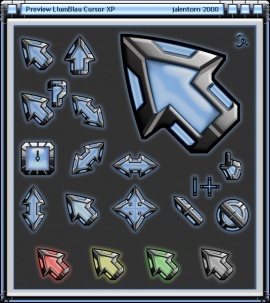 Best of all, it´s really easy to create your own super-charged cursors! It integrates into the standard Mouse interface of Windows and is easy to turn on and off as you need.